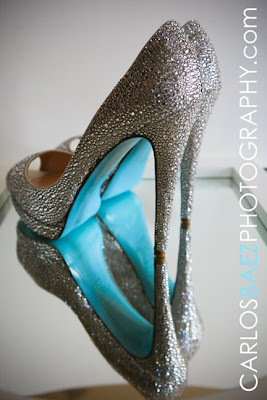 Wow, Carlos Baez does amazing photography, and it helps when the clients are gorgeous and put in custom details. One of his recent brides had custom Christian Louboutins, we’ve had one before. I suspect he gets them much more frequently than we do here in Texas. Oh, and let’s not forget, we believe in love here at A Regal Affair, so congratulations to Blanco-Bowe on their marriage, we wish you many Many MANY years of happiness.